I upgraded Ultimaker 2 to Ultimakr 2+ with their extrusion upgrade kit. Watched the video of instructions and did it exactly as per the instructions (Have done a similar thing to an other UM2 printer and was installed successfully). Thought it was an firmware issue. So changed the firmware from Cura 2.3 to 15.04.6. But the problem still exists. 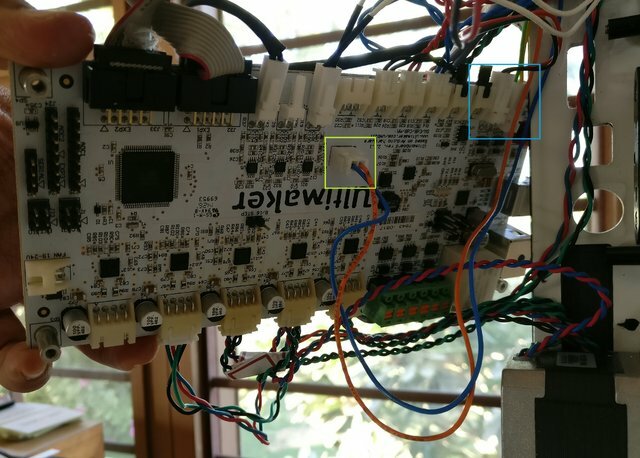 Checked the Ultimaker website for troubleshoot 'ER05' and according to it I checked the main board and all connectors to ensure all connections were not loose. Please help me recognize what went wrong during installation. also check that during the upgrade you have not trapped any wires, maybe somehow cut into a wire somewhere ? Since I just did the up gradation, am stuck on the calibration process. The printer wont let me move ahead to raise and lower the build platform. But, I checked the Z Limit Switch. Its is functioning properly. Checked all wires. They see intact. A bit of a longshot, but did you accidentally connect the fan wire to the microstepping header on the board instead of the white connector? Most UM2s have a dedicated fan port, highlighted in green on this picture. The very earliest ones don't have one. I've indicated the pins used for the rear fan in blue. If you accidentally plug your orange and blue fan rear fan wire into the port highlighted in red (labeled 8/16) you're changing the steps of your Z-motor and it's only moving half as far as the machine thinks it is. 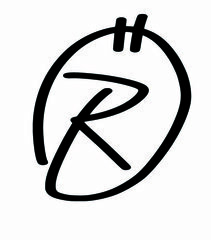 Re-plugging it into the correct slot if it's in the wrong one should resolve the issue. If you managed to get it passed the calibration point, I'd also recommend a factory reset. If you can't get it passed the calibration point with it plugged in to the 8/16 connector, plugging it into the fan port alone should do the trick. Yes I had accidentally placed the orange blue wire fan into 8/16 connector. I now fixed it and changed it to where it should be (In the green box indicated in the picture attached. But now the build-plate hits the extruder without stopping. But according to the Ultimaker 2+ instructions video, the yellow green wires for the rear fan are supposed to go 'FAN PWM' (Light blue box in my picture) and that's where they are placed even in an another UM2+ I own. 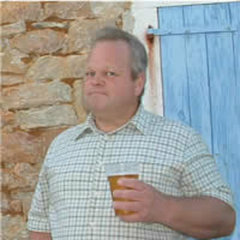 Thus that where I hae them right now unlike the pins marked in blue box in your picture. Now when I changed the port and turned on the printer, the buildplate rises and hits the extruder so I manually shut the printer down. I also upgraded the firmware to 2.3. I would do a factory reset but am not able to get past the calibration point due to the build-plate bumping into the extruder in the first step. Thanks for your input. You were correct to point out that I placed the connector in the wrong slot. What should I do now? Did you install the correct firmware? If you installed firmware for an extended instead of a "normal" UM2+ it will try to raise the platform too high. So here is what solved the issue. We changed the firmware to UM 2. Then tested the machine. It worked fine. So then we changed the firmware to UM2+. The problem is resolved. Thanks to all who have answered. We have an Ultimaker 2 Extended 2016. We are trying to go through the calibration wizard of the ultimaker, it recognizes the home while starting and raising the plate, but after calibrating with of 1mm card and the paper is done, retracting the build plate does not move down the plate completely and stops at a predetermined distance before it reaches home position, the error pops up saying 'Z switch broken' and go to ultimaker.com/ER05. 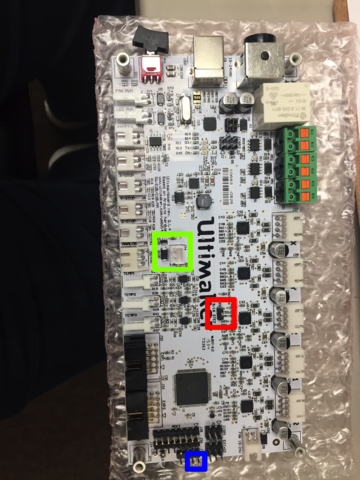 We have tried all the troubleshooting methods on Ultimaker's website, but this issue is persistent and we cannot go ahead of calibration step, the wiring is also correct as per the images shown. Is there any other way to counter this issue? Your expertise is highly appreciated. It sounds like the same problem as the original poster - it sounds like you have UM2 firmware on a UM2 extended. Somewhere in the firmware it specifies the height of the Z (about 200mm for um2 and about 300mm for extended). ALSO it's critical that after you upgrade the firmware you do a RESET TO FACTORY SETTINGS. This is because the Z height is stored both in the firmware and also in the eeprom which is separate and when you upgrade the firmware if there is already a height in there then the new firmware doesn't modify that. Actually you might simply want to try RESET TO FACTORY SETTINGS without actually updating the firmware as that alone might fix your issue. Thank you so much for the information, I will try that and give an update too. So I tried the factory reset and also saw my board it has the constraints for Z axis as 205mm that's the Z distance for UM2 because we burned the earlier board and got this new one so we need another odd 95-100mm for UM2E to get rid of the error I suppose. Is there anyway that we can change the default setting for homing constraints to 305mm instead of 205mm for Z axis. You should be able to just go ahead and re-flash the board with UM2X firmware. 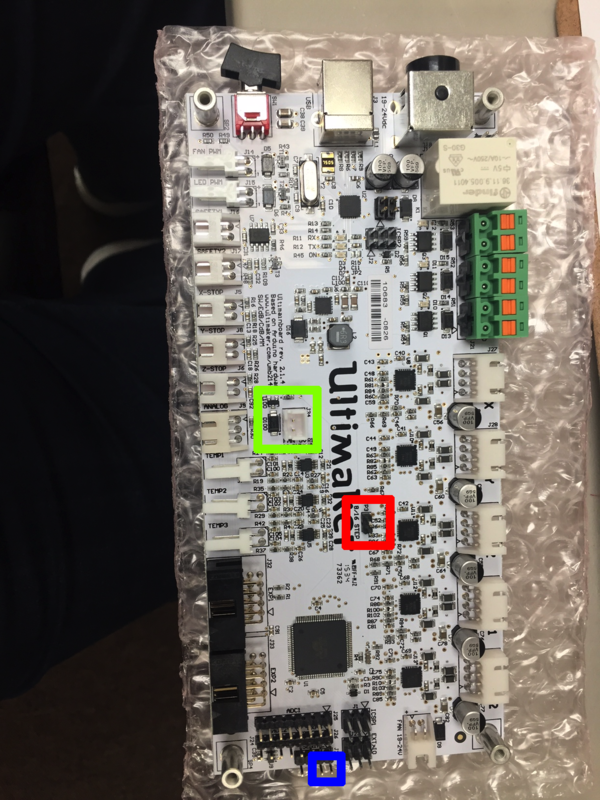 The UM2X, UM2, UMO+, and UM2+, and UM2X+ all use the same board, with different firmware. I think you can flash the firmware using cura - connect your computer with cura on it to the um2 with a usb cable and then in cura go to machine configuration, select a the correct printer and choose the button "Upgrade Firmware". I updated the firmware using Cura and did a factory reset too. The issue is still there its stopping at a height of like 100mm before reaching the home position. Oh! Okay - and you are sure you selected "extended" in cura? Okay assuming you did another possibility is that there is a jumper on the circuit board that can make Z be either 8 stubsteps or 16 substeps. In fact some people accidentally connected the fan connector to this jumper and what happens is the fan acts like a short (or close enough) and the Z axis moves half the distance it is supposed to. So look at the circuit board - both sides - and near the middle of the board (not on any edge) is a connector and if you look at it carefully it says something like 8/16 z steps. Something like that. Make sure NOTHING is connected to those two pins. I upgraded the firmware with Cura but the Ultimkaer 2 EX had other hardware problems too, we rectified it and the Z axis was working when we removed the small jumper from the board. Thank you @gr5 for the information regarding the jumper and we are now able to print.